There's trouble on the rise when the "Diva of Dough" arrives in Quincy's Gap to make the wedding cake for Milla and Jackson's Christmas Eve nuptials. The famous chef and television personality is Milla's sister, but while her confections are sweet and beautiful, the Diva herself makes enemies faster than you can say "praline pecan bundt cake." When the Diva is done in, her body found covered in cake batter, James and the other supper club members find themselves up to their elbows in suspects. 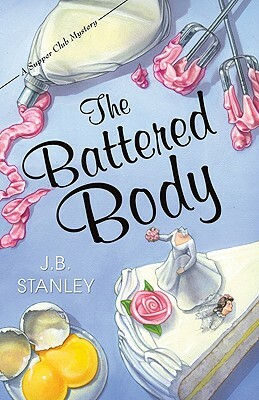 A cozy "village" mystery, The Battered Body is the fifth book in the warm and wonderful Supper Club Mystery series.